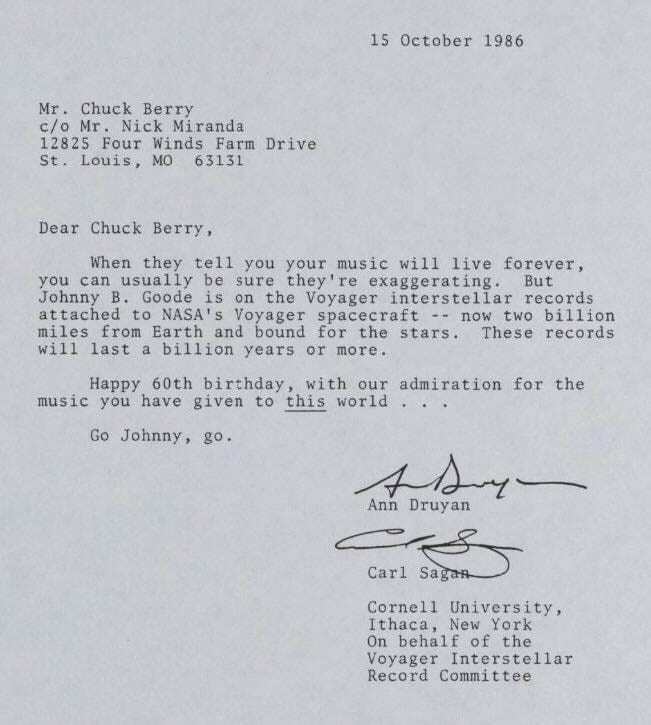 Chuck Berry received a truly heart-warming letter from NASA back in 1986. What better honour is there than to be included in NASA’s time capsule they sent to space to represent the Earth’s life and culture to extra-terrestrial beings. That’s exactly what happened, the year after Chuck’s classic ‘Johnny B Goode’ hit the charts. The letter was posted to him for his 60th birthday and couldn’t have been more perfect. When they tell you your music will live forever, you can usually be sure they’re exaggerating. But Johnny B. Goode is on the Voyager interstellar records attached to NASA’s Voyager spacecraft – – now teo billion miles from Earth and bound for the stars. These records will last a billion years or more. 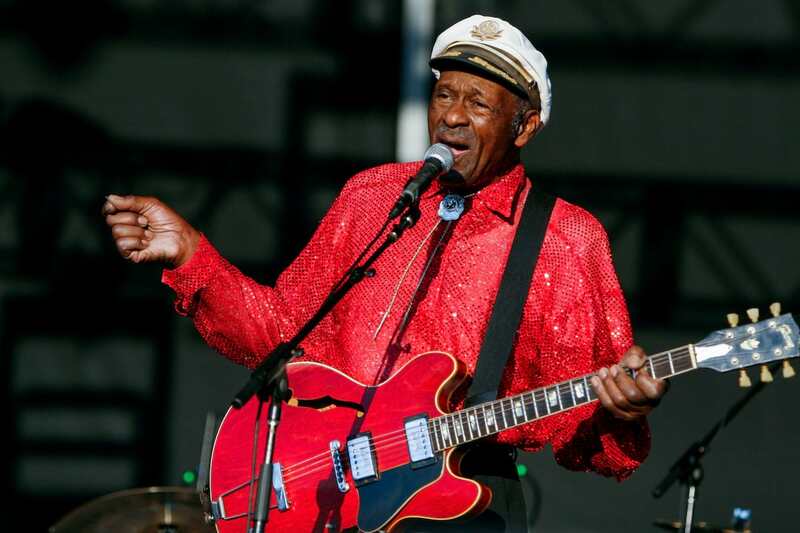 The absolute rock and roll legend passed away yesterday at the age of 90 years and the tributes for the legend and his seven decade career are pouring in. 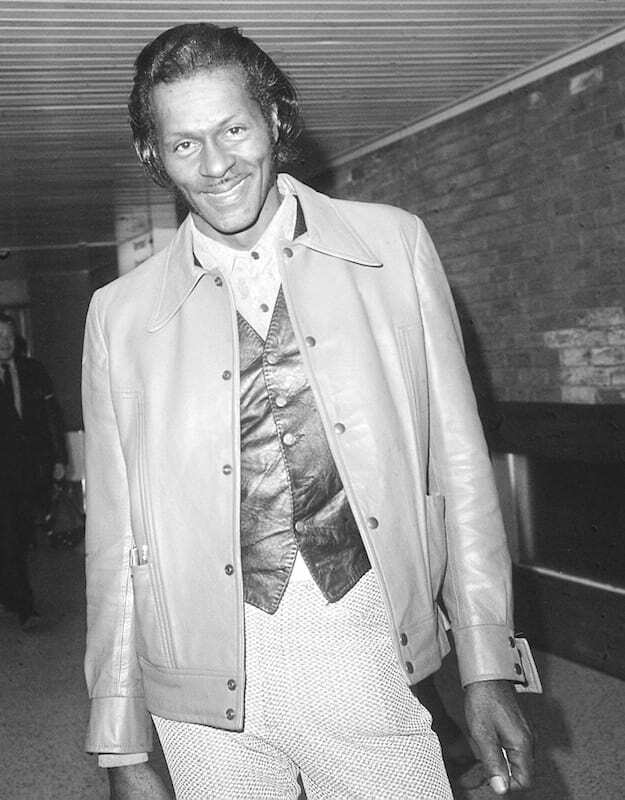 John Lennon once said ‘If you tried to give rock ‘n’ roll another name, you might call it Chuck Berry’. The song Johnny B. Goode ended up being quite an autobiographical track for Chuck, and it is beautiful to know that he is representing us in the stars to any aliens out there. Back when NASA was deciding which records to include in the Voyager Golden Records which launched in 1977, Chuck’s inclusion caused controversy because some old pretentious people thought it was too ‘adolescent’, to which astronomer Carl Sagan replied ‘there are a lot of adolescents on the planet’. Any extra-terrestrial creatures out there will have their minds blown when they receive music straight from the rock ‘n’ roll’s forefather. Perhaps he’ll not only inspire a generation of music, but a different species’.